The photo id for this photograph is 46, in the Trains and Railway Lines album. 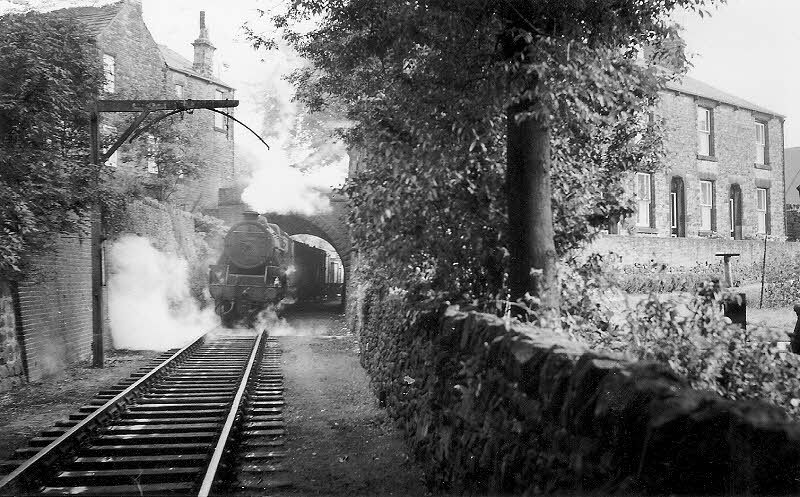 The train is emerging from the tunnel under Chapel Road after shunting in Shallcross Sidings formerly part of the H.P. and C.Rly. and is on its way back to W. B. station.